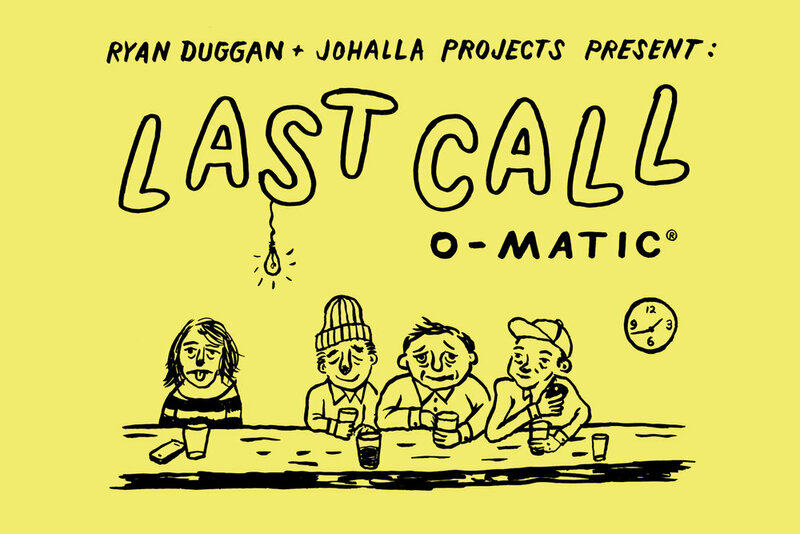 Johalla Projects is pleased to announce the third iteration of POCKET CHANGE with RYAN DUGGAN: LAST CALL. This special, one-night-only event at The Empty Bottle will feature mixed media works by Duggan and music from Tinker Belles, Young Moons (Basic Cable, Why Intercept), and a DJ set by Heather Gabel. For POCKET CHANGE Duggan will install a special vending machine at The Empty Bottle. Visitors to the venue will have the opportunity to receive a dispensed “last call” pick-up line (Men’s) or a fake phone number (Women’s). Furthermore, POCKET CHANGE attendees will have the opportunity to write on and interact with Duggan’s hand-designed wallpaper, which will be integrated throughout the space. The artist will also have Drug Factory Press editioned prints available for sale. $5 tickets are available in advance here or are available at the door. POCKET CHANGE is an ongoing fundraising event series started by JOHALLA PROJECTS and is designed to benefit public arts projects in various neighborhoods of Chicago. Each event at The Empty Bottle will cost $5 for admission, includes a complimentary PBR, and features a music performance. All money collected at the door will go directly to the event’s featured artist to produce a public art piece in Chicago. Johalla Projects is grateful to have support from its partners in this venture, including Empty Bottle, PBR, Sixty Inches from Center, and Alderman Joe Moreno.